54 Current cost estimates by REN21 (2012) are also included in the following sections for comparison with future projections.a However, both current cost estimates and future projections are surrounded by considerable controversy, and the figures presented here are not claimed as definitive. In several instances, industry experts disputed REN21 estimates of current costs and said commercial costs were actually much lower, as evidenced by commercial contracts being signed in 2012, even excluding (backing out) any subsidies. Some of these disputes have been noted in the text.7 (All costs given in this chapter are intended to reflect unsubsidized costs unless otherwise noted.) Wind Power: Onshore All industry experts saw wind power continuing as a very strong market for decades. Among the most optimistic projections was 1,000 GW globally by 2020, made by a wind industry executive. Another expert saw 50% of global electricity from wind by 2050 as possible, and “not insurmountable given enough gas and storage to balance.” In 2011, 50 countries added new wind power capacity, and many experts expected a growing diversity of wind markets in many more countries around the world to take off before 2020.8 Some utilities are equally optimistic. For example, RWE said that “wind power is well on its way to becoming competitive even in a non-regulated market.” And Gas Natural Fenosa said that “wind energy is one of the most mature renewable technologies and is the most widespread and has the greatest growth horizon world-wide.”9 Contemporary onshore wind power costs are cited by REN21 (2012) as 5–16 U.S. cents/kWh, although some experts claimed that lower costs of 4–5 cents/kWh were more typical for good sites.b Regardless of the exact figures, industry experts pointed out that onshore wind power is already competitive with wholesale power prices in many locations, and some European experts expected wind power to achieve full grid (wholesale) parity with fossil fuel plants in Europe by 2015, with typical costs down to 8–10 U.S. cents/kWh equivalent.10 Other experts asserted that wind power at good wind sites in the United States, Europe, and many developing countries is already competitive with conventional wholesale power costs. “In some locations in Morocco, wind power is at parity or cheaper than coal,” said one African expert. A previous edition of IEA WEO (2010) showed costs declining to about 6–9 cents/kWh during the period 2021–2035, but the most recent edition (2012) offers no cost projections. IEA ETP (2012) projects 5–10 cents/kWh by 2020.11 Industry experts saw many possible technology changes forth- coming, such as new materials, lower weight (especially of blades and nacelles), concrete towers instead of steel, permanent-magnet generators (which reduce wear on drive trains), direct drives, substitutes for rare earths (including non-magnet generators), deformable blade profiles, more sophisticated monitoring and reporting of performance, and more sophisticated optimization.12 Some believed that the wind turbine industry could evolve similar to the aircraft industry, reaching a plateau in size like in the 1970s but with growing sophistication and performance in other respects. “Lifetimes are likely to remain at 20 years because we are getting close to design limits; turbines are not as over-engineered as they were in the 1980s,” said one expert. Transport and logistics will become more important, and manufacturers may even establish mobile factories to manufacture parts on-site.13 One wind industry executive also stressed the information technol- ogy side of wind power, and said: “Our industry is going to become more sophisticated—we are already a major global user of super- computer power.” The executive pointed to a much stronger focus in the future on information technology (IT) and monitoring (i.e., hundreds of measurement points on a single turbine), combined with smarter maintenance, which will mean less downtime because components will be replaced before failure. And maintenance will be done during low wind periods to reduce the impact of maintenance downtime. And further research and development opportunities in wind for the future will also make heavy use of computing power: aerodynamics/fluid dynamics, grid balancing, assessment of wind conditions, and wind site analysis that uses anti-correlations of wind resources for less variability.14 Experts pointed to the potential for much cheaper small-scale tur- bines, which some said could revolutionize the use of wind power in local power applications and for hybrid wind-diesel systems in off-grid applications (see also developing countries in Chapter 5). REN21 (2012) gives current costs of small-scale wind turbines (less than 100 kW) of 15–20 cents/kWh in the United States, and costs of household-scale turbines (less than 3 kW) of 15–35 cents/kWh. WWEA (2012) shows more than 650,000 small wind turbines glob- ally in 2010, and notes that: “Fully competitive small wind markets are … found in developing countries where off-grid and mini-grid applications prevail.”c WWEA projects that the global capacity of small wind turbines will increase almost 10-fold between 2010 and 2020.15 Experts also foresaw other possible “game-changers” for wind power. Examples are low-speed turbines, vertical-axis designs, and towers that can be built on-site from the ground up or act as their own cranes. One expert said, “So many people and different types RENEWABLES GLOBAL FUTURES REPORT 06 EVOLUTION OF TECHNOLOGIES, COSTS, AND GLOBAL Market Growth a) There are few published sources that give current cost ranges on a recurring global basis other than REN21. IEA (2012) Energy Technology Perspectives gives cost projections just for the United States. However, many one-time studies capture current costs at the time of their publication, for example GEA (2012) and IPCC (2011), but often give costs only for a particular region. 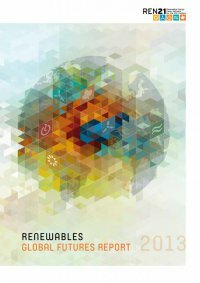 IRENA (2012) is a new publication on costs but was available too late for press. b) All costs in this chapter are in U.S. dollars. c) The World Wind Energy Association defines “small wind” as less than 100 kW and notes that many definitions exist.